Soviet cosmonaut Valentina Tereshkova poster « Adafruit Industries – Makers, hackers, artists, designers and engineers! Soviet cosmonaut Valentina Tereshkova poster via Bruce. 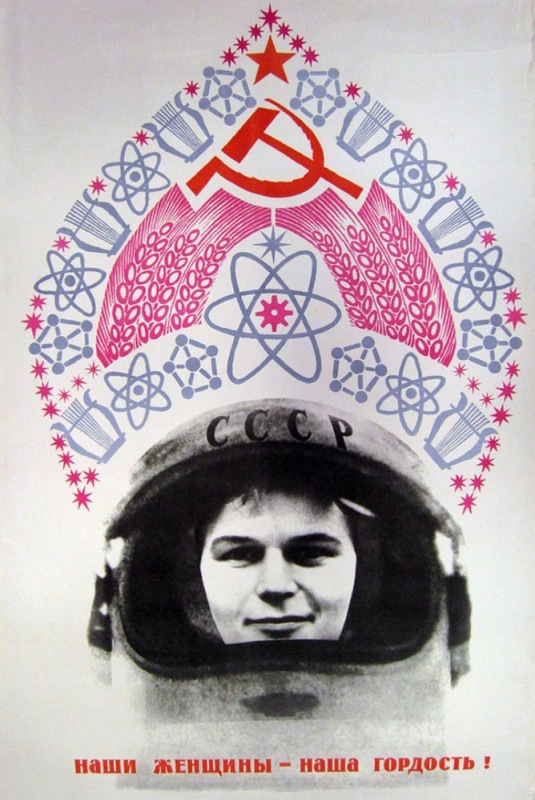 Soviet cosmonaut Valentina Tereshkova, the first woman in space is depicted in this poster from 1967. Translation: Our women – our pride!